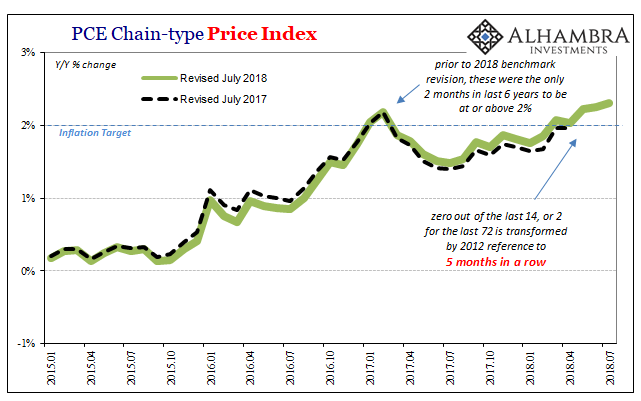 The PCE Deflator rose 2.31% year-over-year in July 2018, according to the Bureau of Economic Analysis. That makes five in a row for Jay Powell to try to make his case. Prior to March, the central bank had missed its target for the PCE Deflator in 68 out of 70 months using the 2012 dollar reference. Has something changed? Yes and no. The “yes” is convenient enough for central bankers like Chairman Powell (or BoC Governor Stephen Poloz), but it isn’t actually what they want to see. They’ll take it, of course, since it beats constant questions about undershooting from even the compliant media. These are oil-driven numbers, however. 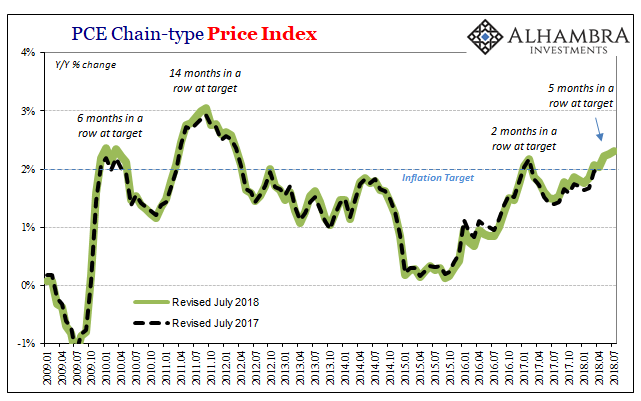 There isn’t to this point any indication beyond WTI (and US crude exports) that inflation is going to stick around here. In that respect, central bankers have to be concerned about the 2011 case.  There are echoes of all the prior episodes in 2018; there’s the economic ceiling of 2014, the EM deflation signal of 2013, and the oil contributions of 2011. The last in the list is also the last time US inflation (like Canadian inflation) was at these levels. With oil surging after the (official) end of the Great “Recession”, beginning December 2009 inflation quickly reestablished its target. Many attributed the speed to the presumed dark side of QE, too much “money printing.” The deflator would only remain above 2% for six months before (eurodollar) retrenchment resumed. Following QE2 and more “money printing”, crude prices would rise further and consumer price indices with them. 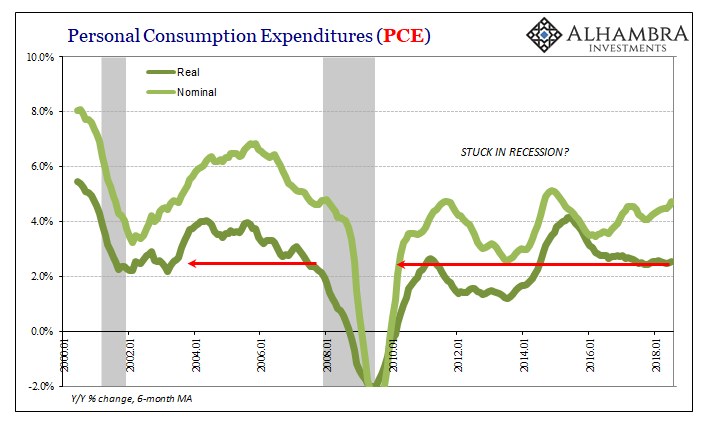 Starting in March 2011, the PCE Deflator would stay above 2% for fourteen straight months until the middle of 2012 when the full weight of the 2011 eurodollar episode finally settled (in evidence; narrative remains a different story) the confusion over money printing. The trick for central bankers is not getting there, though that was quite the lengthy period of undershooting in between, it is staying here. The self-imposed mandate is a consistent 2% inflation environment. Therefore, some consideration has to be given as to why it didn’t work last time, or what might be different this time around as compared to 2011 and 2012. Sustained inflation even at 2% is a matter of broad-based pressures beyond commodities. From the orthodox perspective, the economy as a whole needs to produce them starting in the labor market. That’s where the unemployment rate becomes such a tease. It is today entirely different than it was seven years ago. And yet, despite the big drop in it over the years since, income growth continues to be suspiciously subdued. The rate itself might be at lows not seen in decades, but it’s all by itself on that account. In fact, all other labor indications have become substantially more lethargic recently than they were back in 2011. By every income account, there is no labor shortage; there can’t even be a low unemployment rate, not a real one anyway. 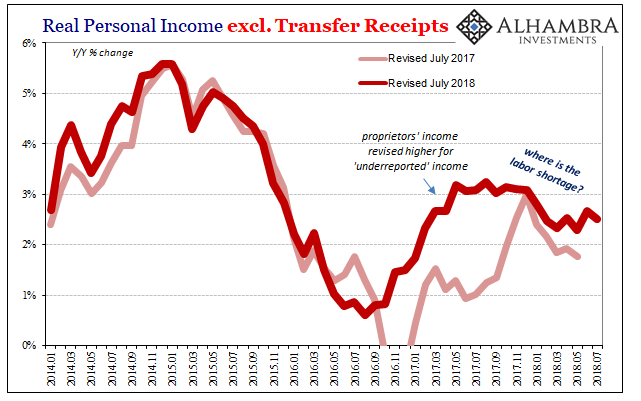 Real Personal Income excluding Transfer Receipts was revised at its July benchmark change, but mostly in terms of purportedly “underreported” Proprietors’ Income. Even with that statistical boost, there is no indication the labor market is robust let alone tight let alone historically so. What is actually evident is something that should concern Jay Powell in his quest for keeping the PCE Deflator where it is. First, the “unexpected” and “transitory” dollar interruption in 2015 has been more and more developed by these follow-on statistical revisions into something far more serious that it had first appeared. It has taken on the proportions of just about recession. If they had no idea it was coming three years ago, and didn’t know it was going on while it was happening, what chance is there in 2018 they won’t repeat the same mistakes? Practically none. They are, after all, still clinging to the unemployment rate to try and make their case. Worse, though, income growth following that downturn has clearly been impacted. And not just for a few months, but continuously thereafter across now almost three years. 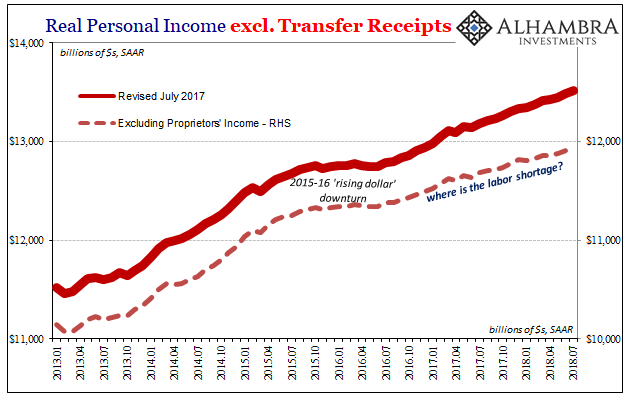 Income generated by the labor market has seriously lagged more so given the upward revisions to Proprietors’ Income (as well as Interest and Dividend receipts). There is less labor market pressure on inflation following it than before the near-recession. Compared to 2011, when the PCE Deflator got as high as 3%, the labor market isn’t even comparable despite the unemployment rate being in a different (and seemingly more favorable) class. No matter how hard they might try to work expectations around it, the labor market, meaning income growth, just isn’t there. Still. This is why the bond market fails to yield to Powell and his “rate hikes” on five months of 2% consumer price inflation. More and more as deflationary signals spread across the globe, it seems the same hollow false dawn setup as we’ve seen over and over again. Yes, the Fed achieved its target, but for how long? This time doesn’t appear to be any different than those before, at least not in terms of the upside. Labor market conditions might be, but further and further the wrong way so far as income goes (which is what actually matters after all is said and done). With the eurodollar futures curve inversion extending now further out into 2022’s, the market is saying the past five months are already forgotten. With good reason.